The New York State (NYS) 4-H Healthy Living program engages youth and families through hands-on educational activities that promote a culture of health and well-being within a positive youth development framework. Rooted in the ecological model of Urie Bronfenbrenner, our Healthy Living program is a holistic one that emphasizes nutrition and fitness, social-emotional wellness, and prevention of injury. Choose Health is an initiative of the Cornell Cooperative Extension and NYS 4-H, with a primary focus on healthy eating and active living among youth, families, and communities. Quick and Tasty Recipes for Healthy Youth and Families! NYS 4-H Healthy Food Guidelines: Making Healthy Choices Easier! Worksite wellness helps us be healthier AND model health and wellness for the youth we work with. 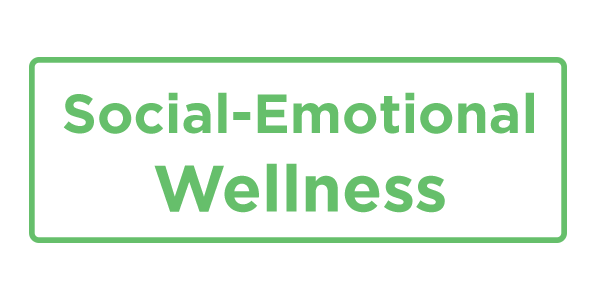 This Wellness Policy Assessment and Inquiry Form from our colleagues in CCE-Jefferson County can be used to consider establishing or maintaining various types of wellness strategies and approaches in our work and program spaces. It was created through the Adopting Healthy Habits program. Please send this form or any questions to Amanda Root at arr27@cornell.edu or Nigel Gannon at tng22@cornell.edu. In addition, check out the numerous resources on the CCE-Jefferson worksite wellness website. This is a newly developed FNEC curriculum aimed at 8-12 year olds that targets those behaviors research shows to be most important for preventing childhood obesity and chronic disease. It also supports the 2010 Dietary Guidelines for Americans and USDA’s MyPlate initiative. The curriculum uses experiential learning to teach healthy eating and active play, and was written using the “4 A” dialogue approach for more effective retention and application of information and skills. In 4-H CHAT, teens are recruited and trained to help teach our Choose Health: Food, Fun, and Fitness (CHFFF) curriculum to younger youth in after-school programs, summer camps and other settings. This initiative is the result of a collaboration between Cornell Cooperative Extension’s 4-H Youth Development Program and Cornell’s Division of Nutritional Sciences. The program integrates youth civic engagement with efforts to encourage healthy lifestyles by engaging teens in teaching healthy eating and active living to younger youth. Choose Health Officers highlight the the 4th H in 4-H, Health: We pledge…my health to better living) by instituting roll calls tied to an activity, issuing an activity challenge for members with tips on how to reach a healthy activity goal by the next meeting, helping the recreation leader with active games and promoting healthy snacks at club meetings. This effort is supported by 4-H professionals' training via a live and recorded webinar, leader and officer training materials, and research-based and tested evaluation methods. *We are working to revise this resource. From our partners at Act for Youth Center for Excellence, this toolkit is highly recommended for any/all youth work. This toolkit and affiliated curriculum (PYD 101) was developed in partnership with the Risk and Thriving in Adolescence Program Work Team. This toolkit presents selected web-based resources that explain and describe adolescent development. These resources were assembled by the Risk and Thriving in Adolescence Program Work Team, a collaboration of Cornell University, Cornell Cooperative Extension, New York State 4-H Youth Development, and external stakeholders, with two goals in mind: to inform and educate youth work professionals, and to provide material that can be used to educate other community groups and sectors.